A new study reveals Pluto's dune systems contain wind-blown grains of frozen methane with possible remnants of nitrogen ice. New studies reveal another foreign parallel, in which Pluto has an extensive dune system. However, the grains that make up the wind-blown mounds are certainly not sand. “That’s exciting not just because it shows (again) the dynamism of these small, cold, dark distant worlds, but also for its inferences for very early solar system bodies,” Telfer says in a Space.com report. “Sublimation pits” are spots where sunlight has caused relatively large amounts of icy material to sublime, or transition directly from the solid phase to gas. New Horizons imagery has revealed thousands of such depressions across Sputnik Planitia, and a series of aligned pits was the most viable alternative explanation for the dune features, Telfer, and his colleagues wrote in the new study. Sublimation is an important part of the dunes’ story, the researchers found. They performed modeling work that suggested Pluto’s winds are strong enough to create the Sputnik Planitia dune system, as long as the grains being blown were already airborne. 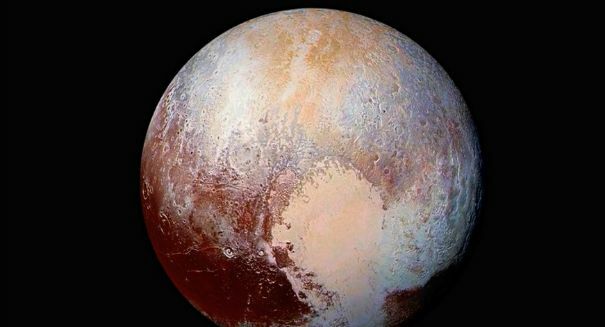 “The new study is far from the final word on Pluto’s dunes,” stressed Hayes, who also directs Cornell’s Spacecraft Planetary Imaging Facility.